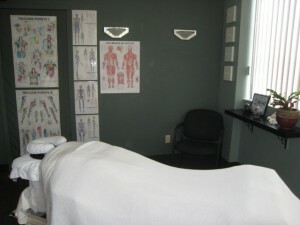 Providing a variety of advanced massage therapy treatments since 1995. At Bellesmere Massage Therapy, we believe that taking control of the pain that you experience is an important part of living a full and happy life. Whether you are interested in relieving the pain you deal with daily or simply want to improve your overall health, we are here to introduce you to the many benefits of massage therapy. We provide a number of massage treatment options at our clinic in Scarborough, Ontario. These include relaxation massages, deep tissues massages, hot stone massages, reflexology and prenatal and postnatal massages. We also offer advanced treatments in cranial therapy, visceral therapy, structural integration, myofascial release, and manual lymph drainage services – all provided by registered massage therapists. When you turn to us, we will help you to determine which type of massage treatment you will benefit from the most. Aside from pain relief, we can help you improve your body awareness, mobility and ultimately help you establish habits that keep your body in balance, both mentally and physically -promoting improved overall health. Another benefit of our clinic is that we are open seven days a week, with daytime and evening appointments available for your convenience. If you have any questions about the benefits of massage therapy or would like to book an appointment, please contact us at Bellesmere Massage Therapy. We look forward to hearing from you and seeing you at our clinic.